Egger's questioning title invites readers to think about their connection to others and to their community, and to question their capacity to contribute and make a difference. 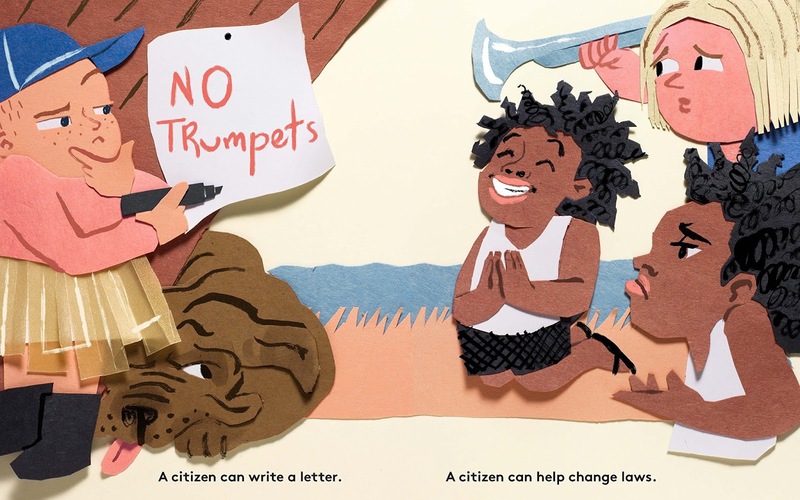 While connection to and service to community are deeply important values to instill in our children, I'm not sure that the Seussian rhyming text What Can a Citizen Do? conveys this message clearly. The use of the word "citizen" in the title of this book is timely, although possibly not entirely accurate or appropriate. Citizenship, from country to country, has specific, concrete, legal definitions, whereas Eggers presents it here in a more fluid, abstract, and playful sense. 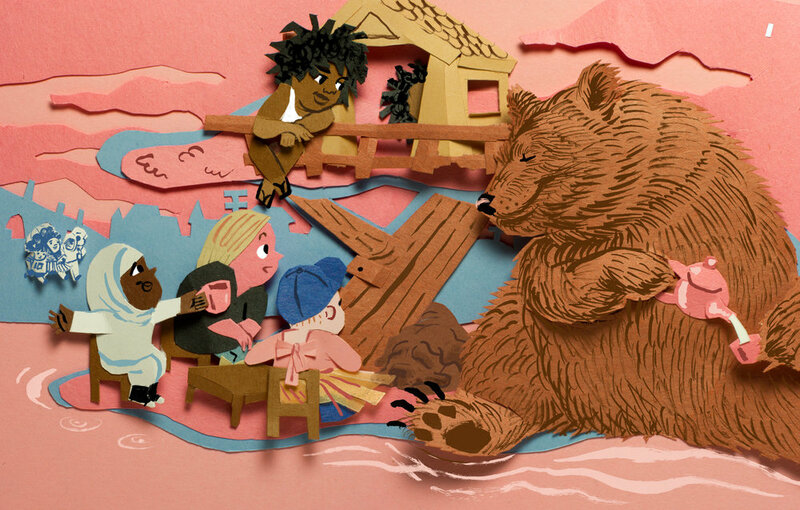 Harris's sometimes crowded and chaotic paper cut, collage and sketch illustrations show a group of friends creating a community on a small island, anchored by a lone tree. The visuals of community and collaboration are matched with the text that begins with "what" questions: What in the world can a citizen do? What can a citizen be? 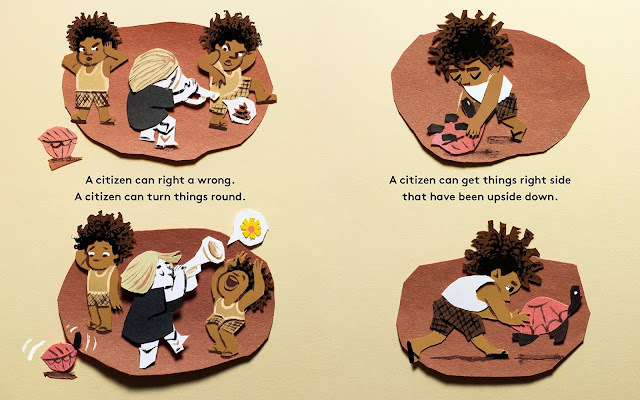 Eggers goes on "should," telling readers citizens should, "be engaged," and "care and care" as well as build things and save things. a citizen is what you do. 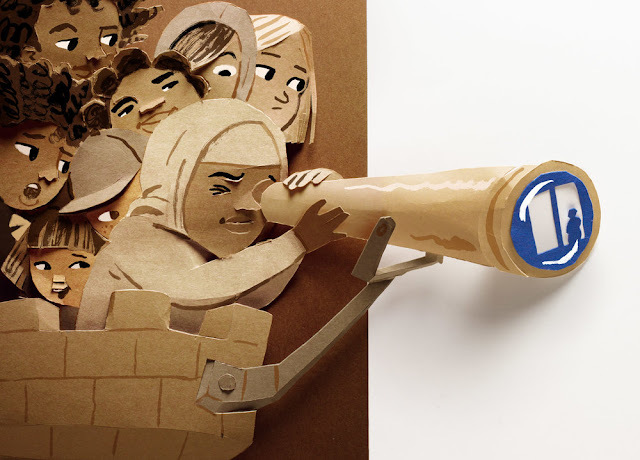 the world is more than you. I genuinely love the sentiment of these words, but again, I think the use of the word "citizen" works here only in an idealistic sense. 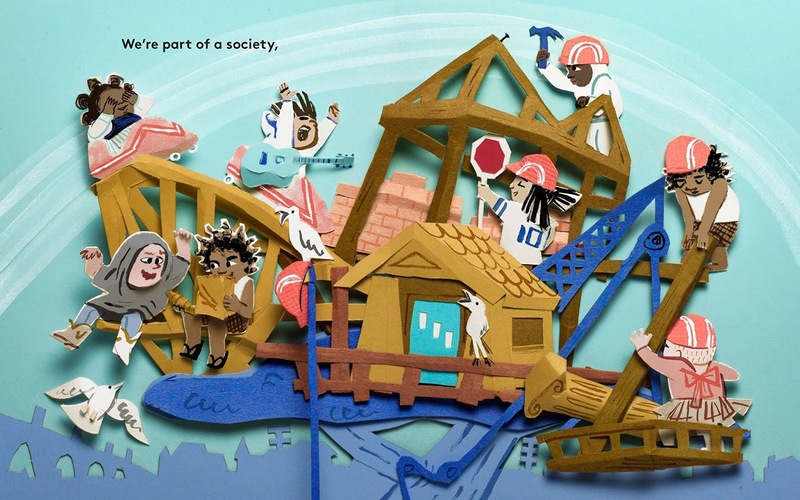 Eggers ends his book with a final call to action (that feels like a starting point for the book, rather than the end) reminding readers that being part of a society, being a citizen, is about connecting with others, lifting up others because, "everything makes an impact on a bigger big than you." 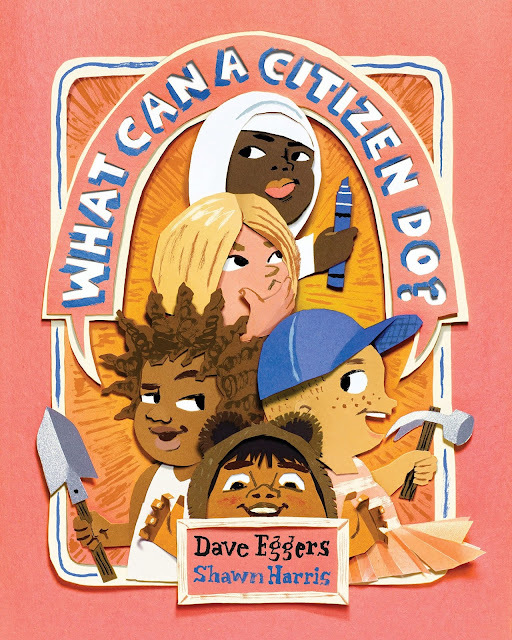 In the end, while I appreciate Eggers as an author and I embrace his message, I think that What Can a Citizen Do? is ultimately too general to be effective without a lot of post-reading discussion.